To get you caught up, I'm on 2.1.1 stable, default template, and I'm using no text editing addon of any kind at this point, because my users are... bad at following directions - the cledit wysiwyg editor I was using was simply too much power in the hands of the irresponsible, and stuff like buttonbar (which puts the formatting out where the author can see it) simply terrifies everyone. SO: no text editing addon, and my input formatter in config is set to Markdown (just because I had to disable editing tools, there's no reason people who know markdown need to suffer). This works great, except for one problem: poets. Solution! I can switch the input to BBCode, which pays attention to soft line breaks. Problem! Losing Markdown to enable BBCode makes me very sad. So, what I really want - what I think would solve most of my problems - is Markdown input formatting, but with the BBCode inputformatter's ability not-ignore soft line breaks. or poets category could have a different input formatter. of individuals could choose formatter the same way you changed custom theme css. You could even duplicate the code tag button, and name it verse, or something, to make them feel really special. You say they bore you. Was that short enough for you? Tell me more about this wizardry. thats what I was thinking too! (didn't mention it, but my thought were aligned with you). but will see if Bleistivt's change is what Doyce wants. I can enable the plugin okay, and regular markdown is working, but when I post in something with a bunch of soft line breaks, it continues to ignore them. Did I miss something? What should be happening? Have you double checked for the double whitespace? It always gets lost, when I copy it from here. Yeah. I thought (hoped) that might be it, but what you see up above is a straight copy-paste from my site - the two spaces before the $1 are there. 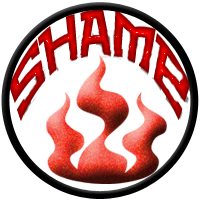 This is a zip of the addon exactly as it is on my site. What in your config for Garden.InputFormatter ? If it's empty, try changing it to Markdown. I had the input formatter set to Markdown. I deleted the line entirely to go back to default. Then I set the Input Formatter back to Markdown. The addon works (it's reflecting line breaks), but none of the other Markdown formatting is being processed. ... and then I refreshed the forum discussion where I'm testing all this. Now the markdown formatting works, and it's back to not processing the line breaks. WTAF. I disabled the plugin and forgot to turn it back on. Holy cats I'm stupid. 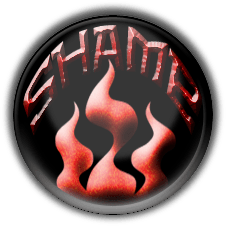 I need a "shame" badge. It's all working now. You guys are great. to the function, so it doesn't clash with other InputFormatters. I'd be happy to do both those things. I don't want to screw up those extra lines, so if you look at that paste-in of the addon I shared above, where would those two lines go? Insert above line 13? 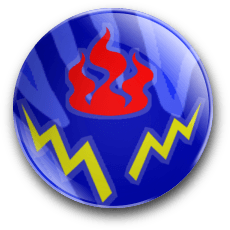 self-shame badge the lightning bolts signify the static electricity when you face-plant your head into the palm of your hand, and the flames signify release of bad energy at the moment of impact.